I know it sounds kind of harsh, but it’s a harsh reality. It doesn’t matter who I speak with, loan officers at a community bank or alternative lenders, they want to say yes and help you find the financing you need. They hate to turn borrowers away who are unprepared or unqualified for a loan. Check your credit report: Before you see the banker you should know what they’re going to see when they check your credit. The first thing they’ll ask you is if you know your credit score. Equifax, TransUnion, and Experian are the three major credit reporting bureaus and for right around $40 you can see what all three of them are reporting. I look at this the same way lawyers do in the movies (and in real life, I’m told), don’t ask a question if you don’t already know the answer. I would never approach a small business lender unless I already knew my credit score. Eliminate unnecessary debt: I know this is easier said then done, but it’s easy for small business owners to max out a credit line with things that probably could have waited. Working in the warehouse of my Dad’s industrial supply business as a teenager, I can think of a lot of things we did without—even though my Dad had good credit. He was very good at differentiating between needs and nice-to-haves. Pay your bills on time: I know this is sometimes easier said than done and sounds like a pretty simplistic solution, but early in my career I worked in an organization that always paid within 10 days to take advantage of the discount terms offered and captured what they considered an extra two percent of profit. It might not sound like much, but over the course of the year it can add up—in addition to helping you build a strong credit report. Remember, it takes time: If you have missed or late payments, get current as quickly as you can. 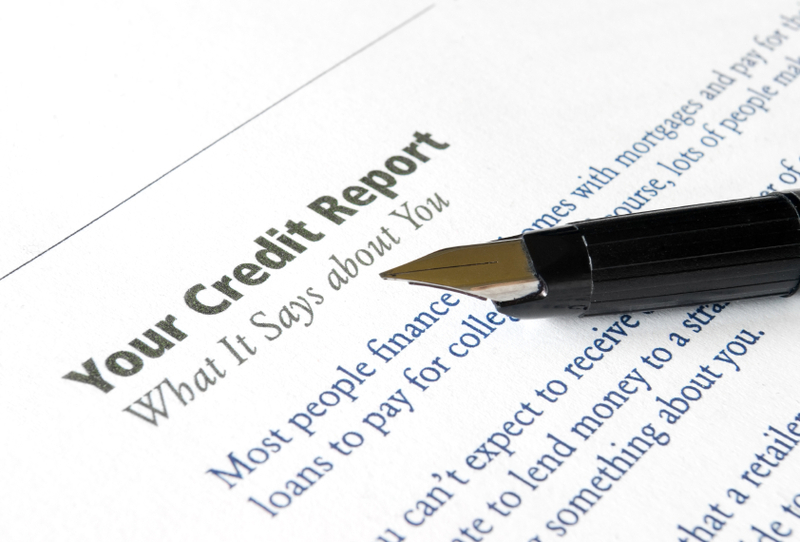 Part of building your credit is keeping payments up to date over time. You won’t see your credit jump immediately, but you’ll start to see improvement as the months roll by. In other words, starting today will help you improve your credit more than waiting until tomorrow or next week. You may need to sit down with your creditors: Some creditors are willing to renegotiate different terms. Of course you’ll need to give them some pretty compelling evidence that what you’re doing to change your situation will actually change your situation. And, it might require that you revise your business plan because this step will likely make obtaining additional credit problematic. Keep your balances low on credit cards: High or maxed out balances don’t reflect well on a credit report. The same is true of revolving credit accounts. Pay it off instead of move it around: The competition for your credit card business will often have card providers suggesting that you use a new credit card to consolidate balances from other cards. It’s much better to pay off a balance than move it to another account. Sometimes owing the same amount, but having fewer credit cards will hurt your score. Don’t close cards as a short-term strategy to repair your credit or apply for several new cards to increase your available credit: You’re not going to fool the credit bureaus, and this strategy will likely backfire on you. Apply for and only open new credit accounts as needed: Opening accounts you don’t need or use isn’t going to help your credit score. Manage your credit cards responsibly: Utilizing this type of credit and making timely payments can help you build your credit. Avoid the temptation to only pay the minimum balance. Managing your credit involves making sure your credit report is accurate and following the practices above to keep your credit score the best it can be. Access to capital is one of the biggest challenges faced by small business owners. As credit remains tight for small business owners, it’s more important than ever before that you appropriately manage this valuable asset. Did you like what you just read? Did you strongly dislike what you just read? Let us know. You can always comment on individual blogs in the comments section below. You can also reach out to us on Twitter and Facebook. Help us make 2014 better by sharing your ideas with us.